Theresa May has recently given the go-ahead for the creation of a new nuclear power station at Hinkley Point in Somerset, much to the delight of many recruiters. 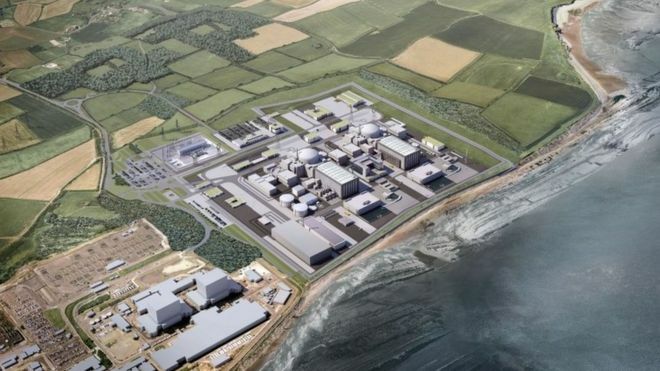 Earlier today, the government announced the plans for the 18 billion nuclear power station, as per a complete review of the Hinkley Point C project, and a revised agreement with EDF. The power station is being financed by the French and Chinese governments. The Department for Business said: "After Hinkley, the British government will take a special share in all future nuclear new build projects. This will ensure that significant stakes cannot be sold without the government's knowledge or consent." Furthermore, the announcement also stated the government will now “impose a new legal framework for future foreign investment in Britain’s critical infrastructure,” which would mean it could intervene in the sale of EDF’s stake once the plant is operational, for the purposes of national security. Business Secretary Greg Clark said it is an "important upgrade of our energy supplies" and a "major step forward" for the UK's nuclear power programme that could potentially create 26,000 jobs. Following on from today’s announce, Ged Mason, CEO of the Morson Group feels this is the perfect mechanism to get the UK’s engineering industry back to a sustainable state of employment and financial growth. “Hinkley Point C will create 25,000 new jobs and securing the skilled resources required will be a major challenge for the nuclear industry. Technical recruiter CBSbutler’s CEO, David Leyshon, also applauded today’s developments. “I clearly recall supplying engineers into the last big nuclear power project, Sizewell B, back in the early 1990s during the peak construction and commissioning phases. Obviously trades and labour will occupy the bulk, but don’t underestimate the demand for qualified engineers and technicians at all levels.